I've joined a book club! Thinking back, I'm a little shocked that I've never been a part of one before. I'm such a lover of books and have more than I know what to do with, so why have I never joined forces with other readers? 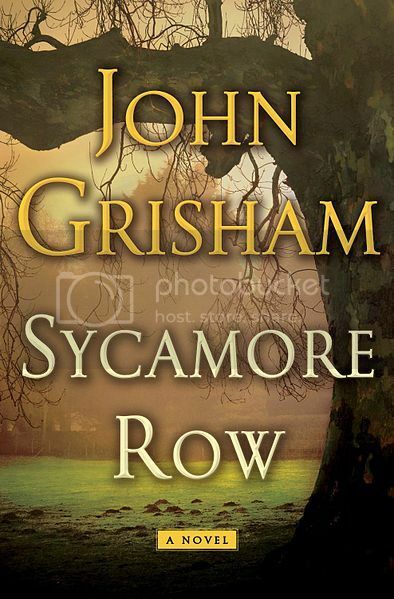 The first book that our little club chose was a new John Grisham thriller, Sycamore Row. It's more or less a sequel to A Time to Kill (didn't read the book, but definitely watched Matthew McConaughey rock it in the movie! ), although it reads perfectly well as a stand alone novel. With quarterly meetings, I think this book club is the perfect addition to my year and will aide in my efforts to read even more than I already do. I'm so excited! Have you ever been in a book club? If so, what did you like/dislike about it? I have never been in a book club. I'd love to though! I was part of a book club before. There were three of us at work who discovered that we were all reading the same book at the same time! So we decided to start a book club. We each invited some friends to join, and we ended up with 8 of us together. It was great; we met once a month, and it lasted for about six months. Eventually it petered out, as we weren't very organized or structured. But it was fantastic! I'd love to be part of a book club again!